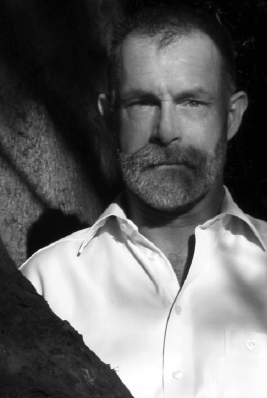 Right: Paul R. Broadhurst is the winner of this year’s ASLA Residential Design Honor Award. Far right: A view of the bay is enjoyed from the terrace. Against the house, Verbascum, Eryngium, Allium and Libertia mingle at the edges of kinnikinick used in the wider landscape. Stairs lead down to the beach. Below: The portico provides a sense of entry at the start of the walkway. What do you get when you mix a proper English garden with the free-wheeling ideas of mid-century California landscape design? Well, for one thing, an award. 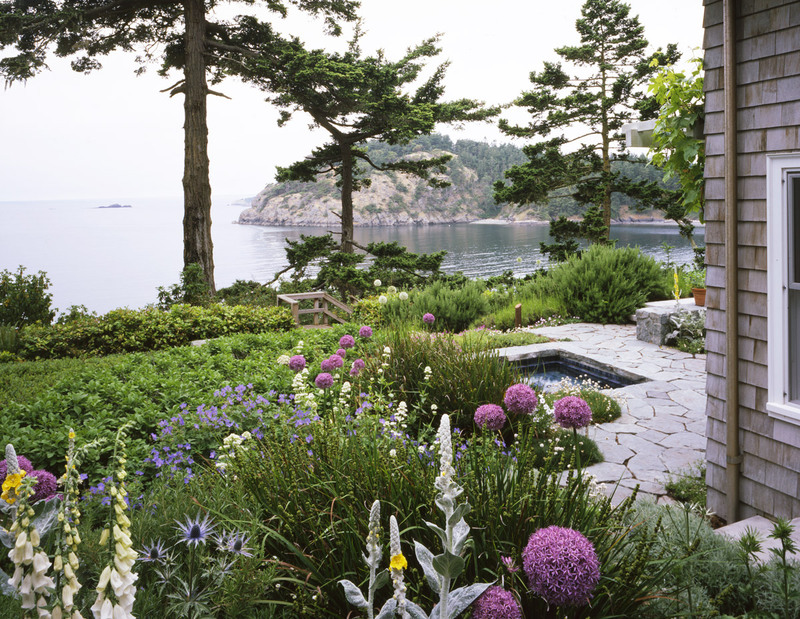 The American Society of Landscape Architects and Garden Design and recently honored Seattle-based Paul R. Broadhurst with a Residential Design Honor Award for his masterful landscape on one of the San Juan Islands off Washington State’s rugged coast. Q: Who inspired your design sensibility? A: Initially, the old fuddy-duddies who made gardens near where I grew up in Surrey, England. I was in awe of Gertrude Jekyll and William Robinson; they gave me a handle on plants. Then I came to America, saw Tommy Church’s garden and really embraced modern California landscapes. I was also massively influenced by the Mexican architect, Luis Barragan. Q: This property’s bay view could have dominated your plan, but you did something completely unexpected. A: I actually chose to close up the views. I wanted to immerse visitors in the nature of the place before the view captured their eye. So we created a forest of native vine maples (Acer circinatum), Vancouveria and sword ferns winding down to the house, essentially blocking the views from the parking area. Then you walk into the house and say, “Wow, we’re on the edge of a cliff.” You don’t get the breathtaking shot until you’re on the back terrace talking with the owners. Q: How did you introduce color while staying true to the Northwest’s woodsy blue-green palette? A: We did two fenced-in gardens: one sun, one shade. You can be sitting in the living room here with a gin and tonic looking on an axis to the sun garden, then go into the office and look to another axis through the vine maples to the shade garden. That satisfied the client’s need for color without having to smear it all over the natural landscape. I think of those little enclosed gardens like soufflés that rise up and bulge over the edge. The alliums and groundcover geraniums are so happy they volunteer in places outside of the corralled spaces, but they always stay close to the parent colony. Q: Any favorite plants here? A: The sea thrift, Armeria maritime, is native to this part of the world. It sits in the stone of the spa deck and doesn’t mind being blasted by high winds. I want all my work to look like this, like man has simply come along and tipped his hat to the plant life that pre-dated him. Reprinted with permission, Garden Design, November 2009.